Currently, when you hear a song on over-the-air broadcast radio in the US, the composer/songwriter/publisher are compensated for that "public performance" via ASCAP/BMI/SESAC, but the performer and record label are not. Meaning, if you hear Aretha Franklin's classic version of "Respect" on the radio, the songwriter (in this case, Otis Redding's estate) and the publisher receive payment; the Queen of Soul (and her label) do not receive any performance royalties. Check out our Public Performance Right fact sheet for more info. Yet if you hear the same song played on satellite radio, a webcast, or on a cable music station, Otis Redding's estate and his publisher get their royalties from ASCAP/BMI/SESAC, and Aretha and record label are compensated via SoundExchange. Why the difference? In 1995, Congress enacted the Digital Performance Right in Sound Recordings Act (DPRSA). This legislation created a new exclusive right to publicly "perform" copyrighted sound recordings via digital audio transmissions like webcasting. But this new right didn't extend back to terrestrial broadcasts, allowing them to continue to broadcast performers' work totally free of charge. Now, you've likely heard a lot of talk about this issue in coming weeks as both sides of the debate try to make their respective cases to legislators. An array of artist and label groups have been organizing under the MusicFIRST Coalition umbrella to solidify Congressional support for the House and Senate versions of Performance Rights Acts bills. Meanwhile, the National Association of Broadcasters are once again getting vocal about their opposition to the public performance right for terrestrial radio. We figured it would be a good time to remind our readers why this right is important to performing artists whose talents breathe life into the music you hear on the airwaves. First, let's recognize that the United States' position on this is an anomaly. Nearly every other industrialized nation compensates songwriters and performers for the over-air broadcast of their work -- notable exceptions include Iran and North Korea. That's not what you'd call great company. You'll hear a lot of hot air from the NAB about how the Performance Right is really just a scheme to fill the coffers of the RIAA -- which is basically the commercial broadcasters trying to take advantage of the perceived unpopularity of this major label trade group. There are two giant flaws with this specious argument. In addition to the direct payment of 45 percent of royalties to performing artists, the Performance Right would also pay indie labels and artists, too, which represent over 80 percent of the music released in a given year, 30 percent of the retail sales and 15 to 25 percent of commercial airplay, according to a study released by FMC last week. This is why the American Association of Independent Music (and FMC) supports it. Third: webcast stations and satellite radio pay a performance right, while terrestrial broadcasters do not. This is a competitive advantage that terrestrial broadcasters want to keep, particularly in the light of competition from other media. Yet webcasting startups have paid performance royalties to both songwriters and publishers, as well as performers and labels as a cost of doing business pretty much since the dawn of online broadcasting. So the question is, if webcasters -- many of whom generate far less revenue than their terrestrial counterparts -- pay a performance royalty to both songwriters and performers, why shouldn't regular radio? FMC thinks that radio is an incredibly valuable public resource, which is why we support initiatives to expand and protect community radio, and try to point out ways in which commercial radio might repair some of the damage wrought by runaway consolidation in station ownership, which has led to homogenized playlists and a loss of local and regional identity. The other day, our "anonymous" commenter suggested that since we purport to support radio we shouldn't be pro-Performance Right. 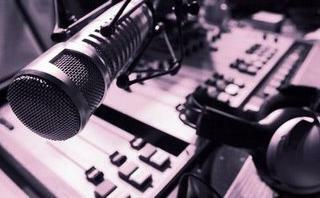 Well, we happen to believe that commercial broadcasters can be both fair to artists AND serve their local communities. We should mention that this flurry of commenting came about because of our new study of what gets spun on radio called "Same Old Song: An Analysis of Radio Playlists in a Post FCC-Consent Decree World." This report essentially shows that indie labels still have limited access to commercial radio, even after the Federal Communications Commission issued consent decrees against the nation's four largest radio station group owners -- Clear Channel, CBS Radio, Citadel and Entercom -- as a response to collected evidence and widespread allegations about payola influencing what gets played on the radio. You can check out the study and executive summary here. In a recent blog post about the study, we heard from an "anonymous," who clearly wants to change the subject. He or she tosses out the old chestnut about how artists don't need to be compensated for radio spins because these plays are "promotional." This sounds a lot like the NAB soundbite that airplay increases album sales, which leads to compensation for performers and record labels. Yet, as our playlist analysis demonstrates, many commercial radio formats rely heavily on the "hits." In the AAA Commercial format, FMC found that 49 percent of the 2008's airplay was dedicated to songs that were released before 1999. In the AC format: 51 percent of the 2008 playlist was songs released before 1999. Urban AC: 56 percent. It's difficult for the NAB to make the promotional argument when the majority of songs receiving spins are so well-worn. By sticking to the established hits, commercial radio isn't promoting music -- they're just keeping people from switching the channel by sticking to the familiar. So essentially, it's the "same old song" for both commercial playlists, and the way they view the Performance Right. Isn't it about time to expand the repertoire?